The last room I designed a concept for is the library. I wanted this space to be filled with seating for studying and for working and I wanted to line one whole wall with a bookshelf. There's also a nook for a more comfortable reading space. For the walls, I did a quick vibrant geometric design. I was thinking about making a part of this space child friendly but in the end I decided not to because there would've been more factors to consider. I chose muted colors for the furniture to create a calming vibe. Though now looking at it, the walls are not calming. But I needed a quick solution in the 1 month we had to design this project. I also really like these concrete pendants above the tables. I also wanted the tables to be perpendicular to the wall to make the space look a bit wider. Just 2 weeks ago our church formed an AV and interior design team for the new building. 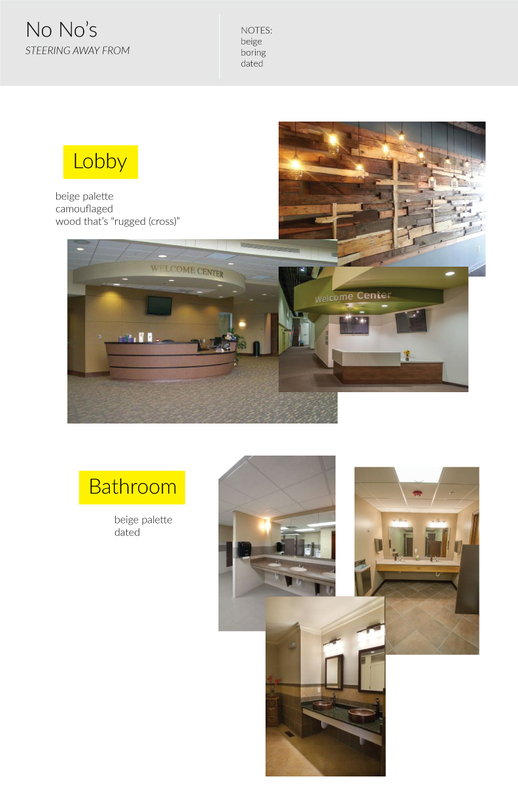 The pastors finalized what each room would be utilized for and it's now our job to come up with a more concrete design. The project will take several months so there won't be any progress to share just yet. But there are definitely more designs to share in the future! Let's move on to the children's room upstairs! I wanted this space to be themed. So we temporarily chose a mountain theme. We didn't want a ton of color because we know this space would be filled with kids and colorful craft items. Again, this isn't a set design. This room might not even end up being a children's room. 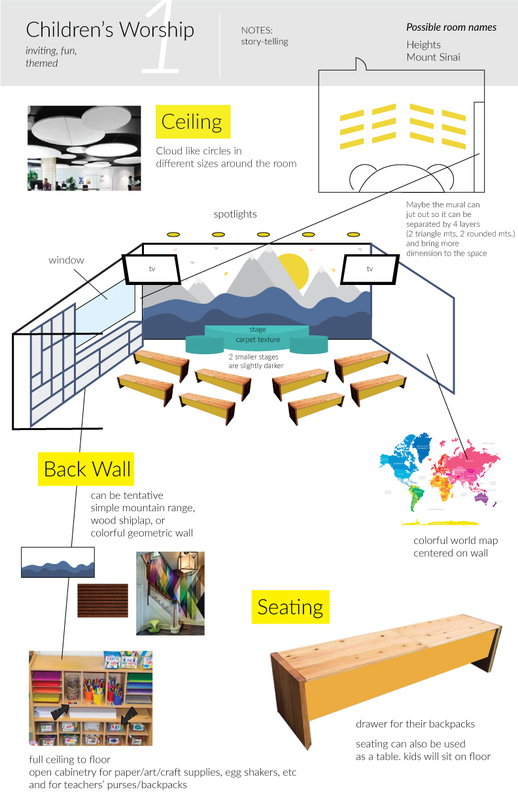 But for the purpose of the video, we chose to design for a children's worship space. I wanted a stage to create hierarchy and a story-telling vibe. One side of the wall will hold all craft materials and miscellaneous items while the other side of the wall has an enlarged map of the world. For the seating, I wanted something that could work as a seat and as a table. So hypothetically, the bins can be taken out from underneath, flipped over and be used as a seat and the top part of the furniture would be used as a table. HYPOTHETICALLY! hahaa. The design on the ceiling acts as the cloud and creates dimension and interest in the space. So it's a pretty simple design that could use a bit more work. But for our timeframe and budget, this design did it's purpose. I am so excited about this space! This is a NEW space. I wanted to dream big without rules or limitations. To not be constricted by making a room a classroom just because it has 4 walls. In the end, will the space really look like this? Probably not but I'm glad these ideas are a part of the conversation. Also, a huge part of the design is also credited to the video contractor who also 3D rendered the necessary items and placed things accordingly with their design judgment. Getting church approval can be difficult. There are a lot of people which means there are a lot of opinions. 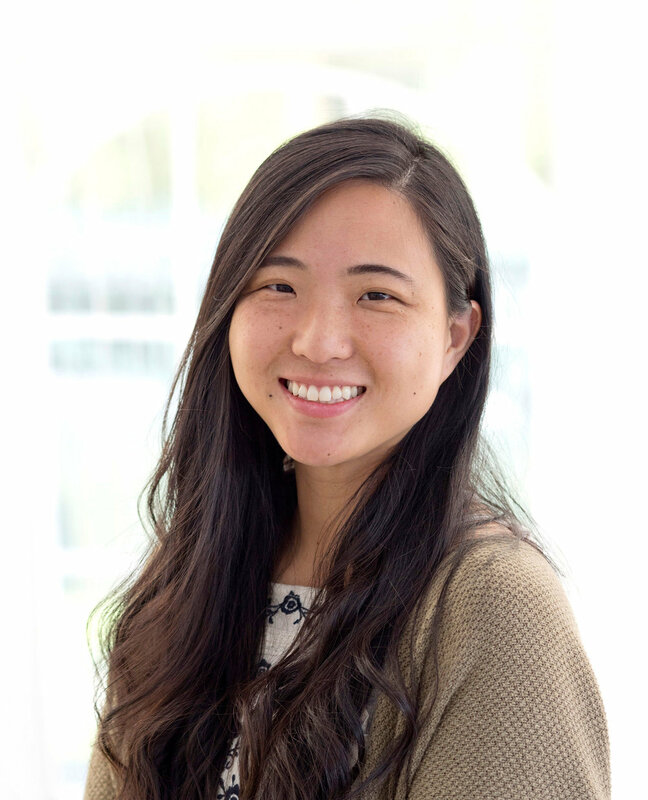 Our lead and project manager gave us creative freedom on what to do with the space. We knew we needed to be realistic but we also knew we could challenge the modern church design. I knew exactly what I didn't want our church to look like so let's start off with that. If you do a quick search on church interior design you'll probably see images similar to this. I wanted to break away from this and focus on being a practical vibrant church. What is this room going to be used for? Who will be using this room? 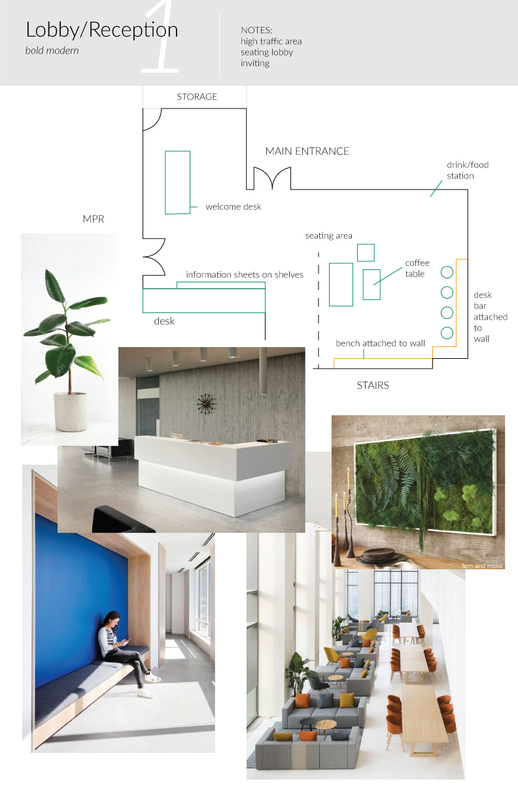 After getting a general idea of the type of room I was designing, I created a mood board and a layout of the room. When I first saw the floor plan, this space was 2 separate rooms. I wanted to knock down the wall to open the space and create a larger walk way for our congregation before entering the multipurpose room. Our church has a focus on discipleship and I wanted to be smart about this space. But this idea will have to be part of a longer discussion. We presented this challenge to our contractor and he created this glass partition to divide the space. Giving us the option to use this space as one big room or as two rooms. And it looks amazing! I wanted this next room to be a space where people can meet up. Our church emphasizes discipleship and I wanted this space to be that environment for people...for small groups, individual meet ups, or to study. Another dream is to have a coffee bar or section. There's discussion on having another designated space for it but for now, it's in the corner of this room. We're still a long way into furnishing the interior of the building which is great! It gives us more time to think about the space and to be SMART about our decisions. Our church is in the process of building a new structure in our current land for many years. In the past couple of months construction has started and we see progress in physically expanding our church. In the beginning of the year, the building committee wanted to show awareness of the project to the rest of the congregation. 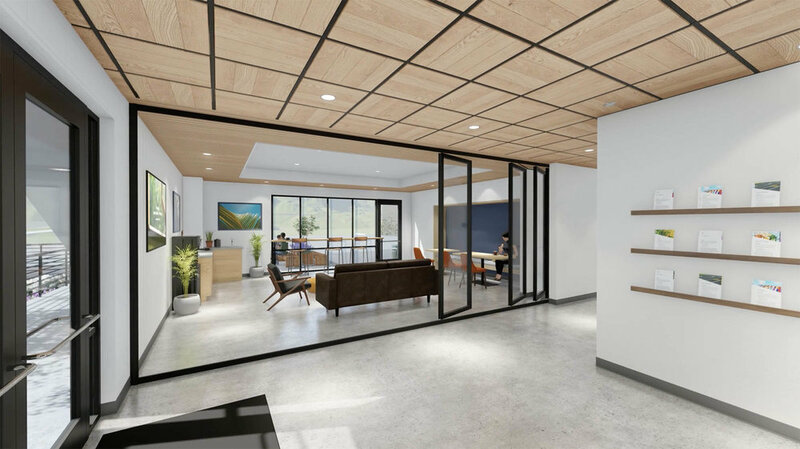 I was asked to help with the interior design of the new building via a virtual video tour. I was so excited to be a part of this team because 1) I love the church 2) I love design. I have no school background in interior design but to be able to be a part of this, I was for sure willing to do research and spend many many hours coming up with a design that makes sense, that's practical, and aesthetically pleasing. The goal of this project was to create a video for the congregation to see what the new building could look like and to raise funds to complete the building. We only had 1 month to design it and to go back and forth with our video vendor to create something we were happy with. Our church design team consisted of a project manager, a lead, and 2 designers. The other designer focused on the MPR while I focused on the rest of the rooms. We all gave creative input on the exterior of the building. Our church hired a contractor to make our concept and vision into a visual experience video. 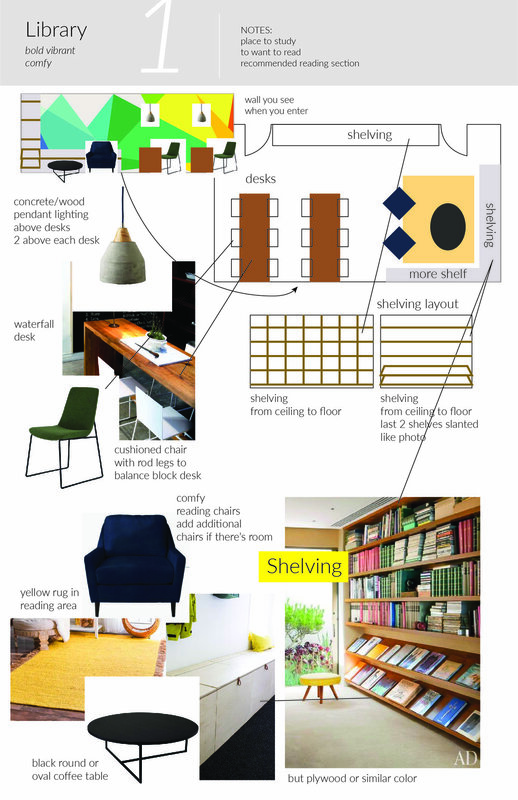 So our team's focus was to come up with a concept and look so our contractor can make the space come alive. We had 1 month to produce something amazing and I was working on this project while still owning Snociety and working part time at my job. 1 month is a very short amount of time. We were showing this video to our church of about 1000 people. They could love it or hate it. This will be their first impression! Our design decisions within this 1 month could possibly change and is not set in stone. But whatever design choices we chose would stick with the congregation - whether or not our building could look like that in the end. Here's the video that took us 1 month! I'll be posting about the process of the rooms I designed and how I came up with each room's concept in the future weeks. Activity - we have 66 pieces of paper with the books of the Bible on each paper on hand. So while we wait for all the kids to show up, the rest of the kids will have something to do. Activity - I scattered red pieces of paper around the room. The kids had to find them and turn to 1 Corinthians 8:6. They then had to work together to complete the verse. I used a shortened version of the verse for the sake of time. We put the verse together in a shape of a tower and I clued them in on what we were going to learn. Activity - have the kids name as many languages as possible (french, zulu, arabic, chinese, english, etc...). Do you know why we have so many different languages? God created people for His glory, not man's. Prayer Requests - normally I have every kid write their requests on paper but this time I verbally asked them and 3 kids shared. Activity - connecting the idea that there are ways that set people apart like how Noah was set apart from others. Activity - kids cut out an ark with brown paper then used markers to create the rest of the artwork. They had to make the rainbow, water, and land with only dots. Silent Writing - have the kids answer the question what does set apart mean? Looking for answers like obedience and trust. Our new Sunday School new year has started, which means we get new first graders! Last year we had an average of 14 kids and this year we have 10, which is a lot more manageable. It feels like it's been so long since I last taught so teaching yesterday was great and reminded me why I want to be a Sunday School teacher. Kids absorb what you say and do and I love to teach them about God and who God is. They believe me when I tell them and I want them to grow up understanding more about Him. I'm not their parents and I won't be with them constantly but I value the 1.5 hours I have with them every Sunday. Here's an overview of what I did yesterday. Write prayer requests - only 3 of them wrote something to pray about and I thought that was good progress! Word Up! - we'll be doing this every week so the kids can practice using their Bibles. I had all of them turn to John 3:16 and to stand up once they got to the verse. They're doing so well already. Lesson - Genesis 1:1. We have a book we use to read to the kids. So I had them turn to the passage and then I read to them from the story book. I'll explain more of this in a later post. We went through God's creation and I had them make hand motions as we went through each day. For example, on the 6th day God created animals so they pretended to be animals using their hands. Activity - I cut a paper plate in half and made 6 lines to separate the 7 days. In each section, they drew what happened on that day. This year my co teacher and I are trying new methods of teaching so I'll be sharing that with you guys another time. It was a great first day of teaching and I'm excited for the rest of the year. This past weekend I served at my church's children's retreat and it was surely a blessing and an encouragement. Our cabin only had 3 girls staying with us and they were girls who I knew from GA so it was great getting to know them on a deeper level. And the counselors I served with was very encouraging. I learned a lot from the way they talked to the children and the way they formed their relationships. These kids are very active and all of them played the games that were set up for them. And lots and lots of creative crafts! I think I'll be trying some of these crafts for my Sunday School class.